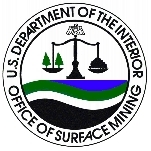 The Office of Surface Mining Reclamation and Enforcement (OSM) is a bureau within the US Department of the Interior (DOI) charged with the competing tasks of promoting coal production in the US while also trying to protect and restore the land that has been ravaged by surface, or strip, mining. For the most part, OSM has been successful in implementing task No. 1 and failed miserably at task No. 2. The agency has long been viewed as a favored ally of the coal industry, much to the frustration of environmentalists and local activists in states like Kentucky and West Virginia. The Office of Surface Mining Reclamation and Enforcement (OSM) was created in 1977 when Congress signed the Surface Mining and Reclamation Act. This law established OSM to regulate surface coal mining and maintain uniform standards for coal mining on state and federal lands. It also created a provision to protect fish, wildlife and related aspects of the environment. Furthermore, the Act created an Abandoned Mine Reclamation Fund to help restore land and water resources that had been adversely affected by mining activities. After OSM was established, it enforced mining laws and arranged cleanup of abandoned mine lands. Over time, many coal mining states developed their own programs to cleanup areas degraded by mining efforts. OSM oversees these efforts and helps to develop new tools for states to complete their cleanups. Over the past 30 years, OSM has provided more that $1 billion in matching grants to the states and tribes to assist in funding the regulation of active coal mines. OSM has also provided more than $3 billion to its partners to clean up dangerous mine sites. The Abandoned Mine Land Program has eliminated safety and environmental hazards on 314,108 acres since 1977, including all high-priority coal problems in 27 states and on the lands of three Indian tribes. The agency has encountered its difficulties during its 30-year history. In 1992, OSM mining inspectors accused their boss, then director Harry M. Snyder, of repeatedly interfering with their work on behalf of coal companies to thwart enforcement of the law regulating strip mining. The inspectors said Snyder had ordered them to end investigations of violations, reduce fines, eliminate penalties, divert prosecutions and prevent inspections. Several ranking officials in OSM implicated then Interior Secretary Manuel Lujan Jr. in the controversy, saying Lujan knew of Snyder’s actions and had sanctioned them. The Office of Surface Mining Reclamation and Enforcement (OSM) is responsible for enacting the terms of the 1977 Surface Mining Control and Reclamation Act. Chief among the agency’s responsibilities are to regulate active coal mining in the US and to establish standards and procedures for approving permits for mining and inspecting active coal mining and reclamation areas. Working above and below ground, OSM works to reclaim abandoned mines not currently active and provide information on shuttered mining operations. The reclamation program is funded by fees paid by operators of active coal mines to reclaim lands adversely affected by coal mining done before 1977. OSM also works with teams of researchers to find new ways to develop land reclamation technology while protecting the existing environment from further degradation. The agency works to minimize damage from acid mine drainage (AMD), which has been a detrimental by-product of coal mining for many years. Much of this work is done in tandem with Native American tribes and state and local government agencies. Part of the agency’s work entails distributing grants to local jurisdictions or businesses to help with mining reclamation efforts. These grants include Small Operator Assistance Program operational grants, Abandoned Mine Land Grants and Watershed Cooperative Agreement Program awards. OSM offers a Learning Gateway for students and teachers interested in learning more about OSM’s coal mining and environmental protection initiatives. It also provides copies of its reports, publications and testimony before Congress. - Appalachian Region, in Pittsburgh, PA.
- Field and area offices include: Columbus, OH, Harrisburg, PA, Johnstown, PA, Big Stone Gap, VA, Charleston, WV, Beckley, WV, Morgantown, WV, Knoxville, TN, Lexington, KY, London, KY, Madisonville, KY, and Pikeville, KY.
- Mid-Continent Region, in Alton, IL. - Field and area offices include: Indianapolis, IN, Homewood, Al, and Tulsa, OK.
- Western Region in Denver, CO.
- Field and area offices include: Olympia, WA, Albuquerque, NM, Farmington, NM and Casper, WY. From 2000-2008, the Office of Surface Mining spent $112 million on 1,310 contractors. According to USASpending.gov, OSM spent money on a variety of services, from maintenance, repair and alteration of properties to engineering services and accounting. Warco Land Improvement Company, Inc.
Jackson and Jackson Reclamation Service, Inc.
(PDF), the agency gave out these grant dollars to 25 states and three Native American tribes (Crow, Hopi and Navajo). The largest recipients among states were West Virginia ($8.7 million), Kentucky ($6.5 million), Pennsylvania ($3 million) and Indiana ($2.4 million). In 2004, the Office of Surface Mining first proposed a controversial plan to change federal regulations regarding protection around streams in coal country. The seemingly innocuous amendment had serious implications for communities in Appalachia, for what the rule change really was about was allowing mining companies to greatly expand the practice of mountaintop mining for coal. Mountaintop mining consists of blasting off the tops of mountains and dumping the rubble into valleys and streams. The new rule by OSM would allow the practice to continue and expand, providing only that mine operators minimize the debris and cause the least environmental harm, although those terms are not clearly defined and to some extent merely restate existing law. The regulation is the culmination of six and a half years of work by the Bush administration to make it easier for mining companies to dig more coal. Mountaintop mining is the most common strip mining in central Appalachia, and the most destructive. Ridge tops are flattened with bulldozers and dynamite, clearing all vegetation and, at times, forcing residents to move. Upon announcing its rule change in 2004, environmentalists and activists in Kentucky and West Virginia began to organize opposition to the plan. OSM backed off temporarily and conducted an Environmental Impact State which was released in 2005. Two more years went by before the administration finally submitted the rule changes to the Federal Register, beginning a public comment period that lasted until November 2007. A final decision by OSM on whether to proceed with the new rules is expected sometime in 2008. Over a two-year period, President Bush tried three times to nominate John Correll to be OSM’s director before finally giving up. Correll, who had served as a deputy at the Mine Safety and Health Administration (MSHA), was strongly opposed by the Sierra Club and the United Mine Workers Union, who feared the former mining industry executive would be too cozy with companies. The biggest knock against Correll was that he played a role in the cover up of an investigation into the biggest recent environmental disaster in the eastern United States. In 2000, a reservoir in Martin County, KY, containing 306 million gallons of coal slurry gave away and dumped its toxic contents into 100 miles of waterways. A team of investigators at MSHA tried to determine the cause of the disaster but were thwarted by political appointees of President Bush, including Correll. The Sierra Club pointed to other concerns regarding Correll. During his tenure as the deputy assistant secretary of labor for mine safety and health, the total number of federal mine inspectors was reduced by 217. Also, Correll was “instrumental in shelving” 17 new mine health and safety rules that had been proposed by Clinton administration. 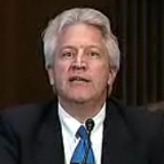 Prior to joining the Bush administration, Correll worked for Amax Mining and Peabody Coal. When the Office of Surface Mining was created by Congress, lawmakers also established a special fund to help states with the clean up and restoration of areas polluted by strip mining. The Abandoned Mine Land Trust Fund is stoked with mandatory contributions from mining companies, and as of 2005, the account had $1.14 billion just sitting in it. But instead of giving that cash to states for reclamation projects, lawmakers and administration officials used it to make the federal budget appear more balanced. Under the law, states are supposed to automatically receive one-half of the reclamation taxes collected from their coal operators. The money is known as the “state share.” But lawmakers have never given states anywhere near their share. For example, states sent $283 million in coal industry taxes to Washington which sent back just $78 million in state-share AML allocations, according OSM. More than 40% of the fund balance belongs to Wyoming. Is there any abandoned strip mine land that a person could move onto and farm? In other words, what would 'squatter's rights' be on a piece of abandoned strip mine land? Is there an owner? Has anyone tried to farm reclaimed strip mine land? I know some is very steep, but I have seen some that are more level than most West Virginia farms. One of President Obama’s most controversial nominations has been that of Joseph Pizarchik to be the Director of the Office of Surface Mining Reclamation and Enforcement (OSM), a bureau within the US Department of the Interior (DOI) charged with the competing tasks of promoting coal production in the US while also trying to protect and restore the land that has been ravaged by surface, or strip, mining. For the most part, OSM has been successful in implementing the first task and failed miserably at the second. The agency has long been viewed as a favored ally of the coal industry, much to the frustration of environmentalists and local activists in states like Kentucky and West Virginia. These activists, including the mainstream Sierra Club, sharply criticized the Pizarchik nomination, both because they wanted someone who had been an active critic of such practices as mountaintop removal mining and coal ash storage, and because they contend that Pizarchik has either evaded opining on mountaintop removal or denied the science regarding coal ash storage. Among Pennsylvania environmentalists, he is known as “Coal Ash Joe.” Pizarchik’s nomination was approved by the Senate November 6, 2009. Pizarchik grew up on a farm in Southwestern Pennsylvania. He earned a B.A. in pre-law from Pennsylvania State University in 1979 and a law degree from the University of Arkansas at Little Rock School of Law in 1983. After completing law school and passing the Pennsylvania Bar, Pizarchik worked as a claims counsel and Workers’ Compensation subrogation supervisor for the Rockwood Insurance Co. from 1984 to 1985, and then as an associate at the York, Pennsylvania, law firm of Hoffmeyer and Semmelman from 1985 to 1986. Pizarchik began his career in public service in 1986 as assistant counsel in the Office of Chief Counsel for the Pennsylvania Department of Transportation, where he served until 1991. In that year, he began his career at the Pennsylvania Department of Environmental Protection, serving as Assistant Director, Bureau of Regulatory Counsel, where he counseled the Pennsylvania mining program for 11 years. He was one of the authors of Pennsylvania’s Environmental Good Samaritan Act, which helps protect landowners from liability when they voluntarily clean up abandoned mines and oil and gas wells. Pizarchik helped develop Pennsylvania’s program for volunteers to clean up abandoned coal refuse sites and helped develop Pennsylvania’s program for mine operators to establish trust funds as a means of meeting their financial obligation to ensure funds are available to perpetually treat the discharges caused by their mining. On October 4, 2002, Pizarchik took over as director of the Bureau of Mining and Reclamation within Pennsylvania's Department of Environmental Protection. In this position, he supported the practice of dumping waste rock into valley fills, and using abandoned mines to store coal-ash waste, a practice studies have shown to be environmentally harmful. He is a past Treasurer of the Conference of Government Mining Attorneys. Born in Utah and raised in Idaho, Brent T. Wahlquist has served as the director of the Office of Surface Mining Reclamation and Enforcement (OSM) since August 2007. Wahlquist holds both a a bachelor’s and a master’s degree in botany from Brigham Young University and a PhD in biology from New Mexico State University. Wahlquist began his professional career in 1971 with Westinghouse Electric as a principle investigator/project manager on environmental studies for electric generating stations, transmission lines and coal mines. He continued working with the environmental aspects of mining, moving to the Rocky Mountain Energy Corporation and then to the Carbon Fuel Corporation in West Virginia in 1978, where he concentrated on meeting the requirements being developed under the 1977 Surface Mining law. Wahlquist began his government career in 1982 when he was appointed deputy director of the West Virginia State Water Resources Division and Reclamation Division at the time it was implementing the rules of the Surface Mining Act. 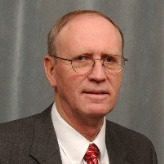 He joined the Office of Surface Mining Reclamation and Enforcement in 1983 as assistant director responsible for developing research, policy and regulations for both the active mining and abandoned mine lands programs. He then became a regional director for the newly formed Mid-Continent Region for OSM, beginning in 1995 by organizing this office while providing grant and program oversight along with a technical assistance and training program for eleven coal producing states. In 1999 Wahlquist moved to the regional director’s position in Denver, Colorado, where he oversaw such functions as regulating coal mines on Indian lands and the administration of abandoned mine land projects in several states. Beginning in 2002, he became the regional director for the Appalachian Region,l which provides grants oversight and technical assistance to six Appalachian states, functions as the regulatory authority in Tennessee, addresses Abandoned Mine Lands emergencies in Pennsylvania and Kentucky and manages the nationwide Applicant/Violator system.